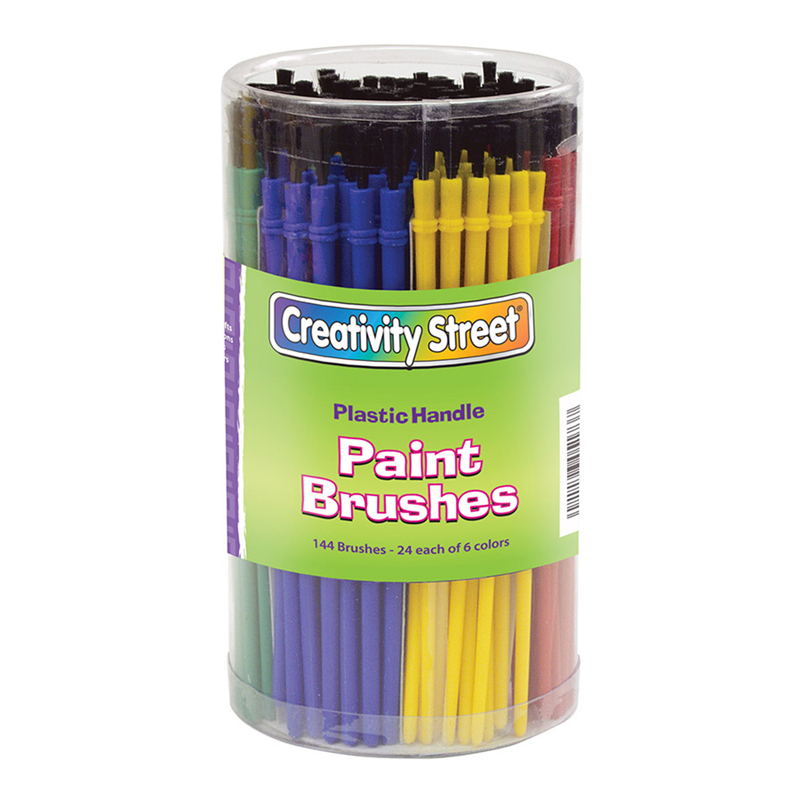 Durable plastic handled brushes available in durable plastic canister classroom packs for large groups. Each classroom pack includes 144 brushes, 24 each of six different colors: Blue, Green, Orange, Purple, Red and Yellow. 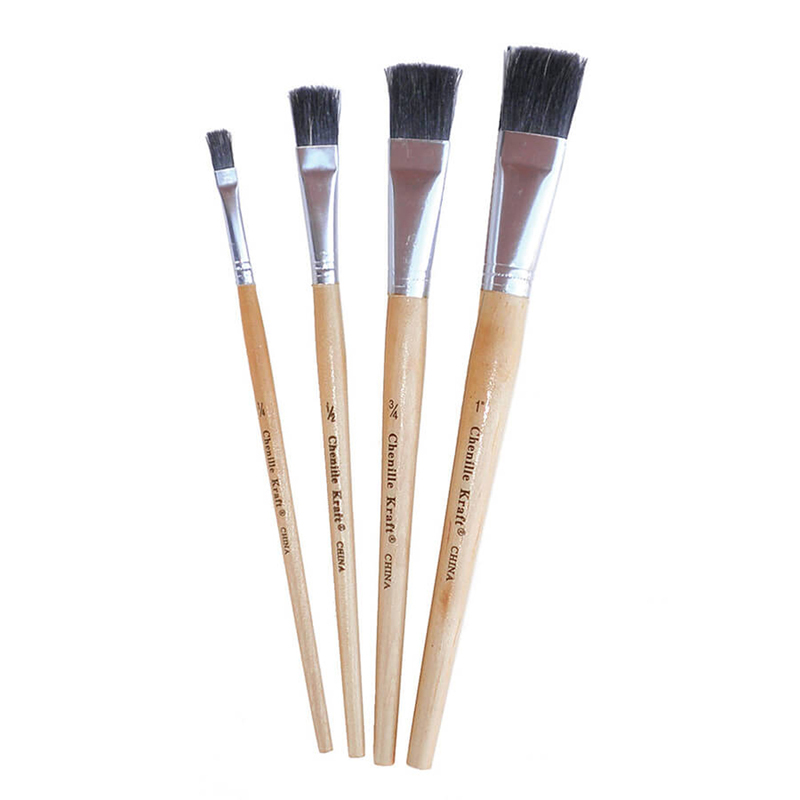 Each of the round, short handled brushes feature plastic handles with blunt-tipped, synthetic bristles. Sold as 2 packs, 288 brushes total. 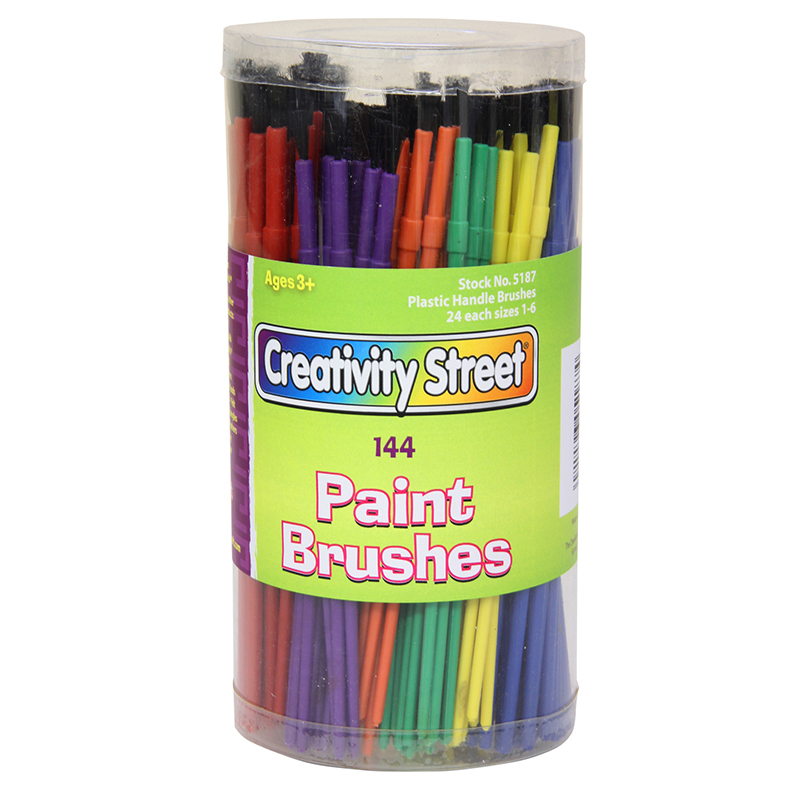 The (2 Pk) Economy Brushes 144 Per Pk can be found in our Paint Brushes product category within the Arts & Crafts.